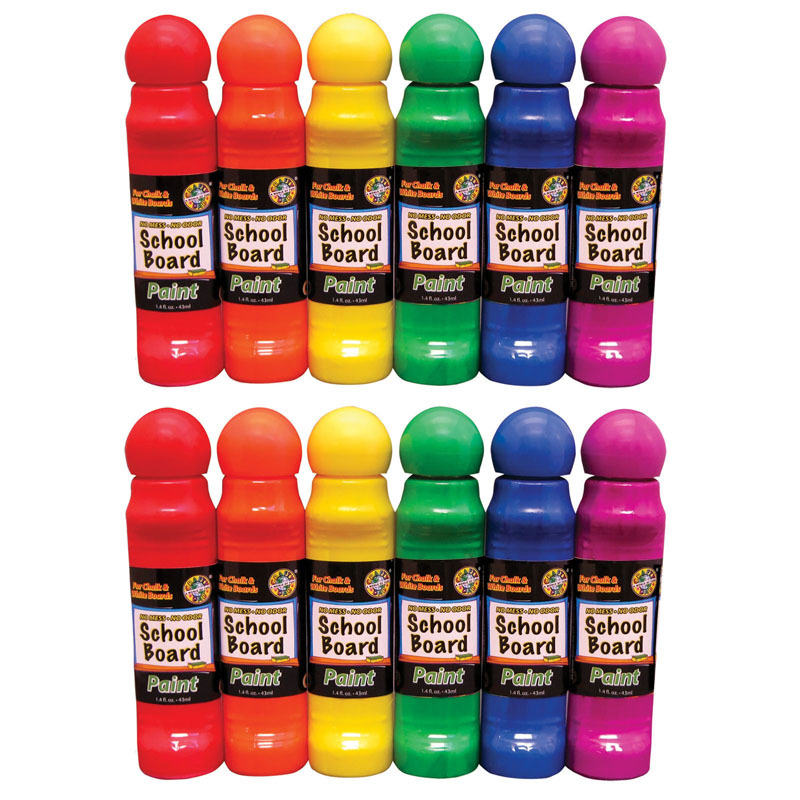 Crafty Dab Kids Paint bottles are "little hand" friendly and the applicators won't leak or drip. When the applicator tip is applied to paper, the vibrant, colorful inks flow to create your little artist's latest masterpiece. Our Crafty Dab products are non-toxic, washable and won't stain clothes. No mess, no waste and cost effective — a one-ounce bottle of Crafty Dab paint is equal to 4-7 ounces of tempera jar paint. 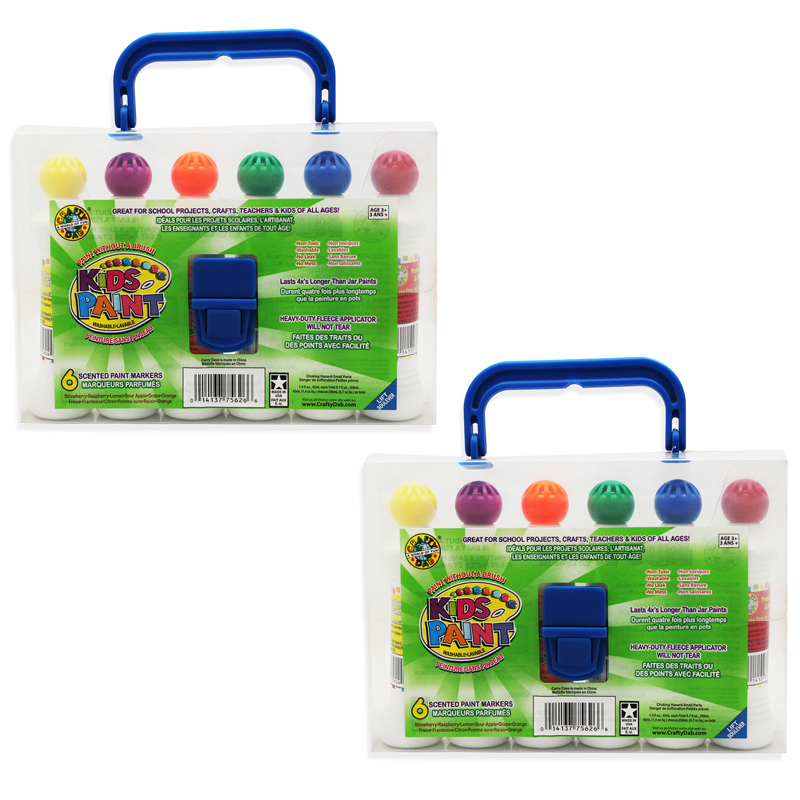 Each set of Crafty Dab Kids Paint comes in a convenient, reusable carrying case. 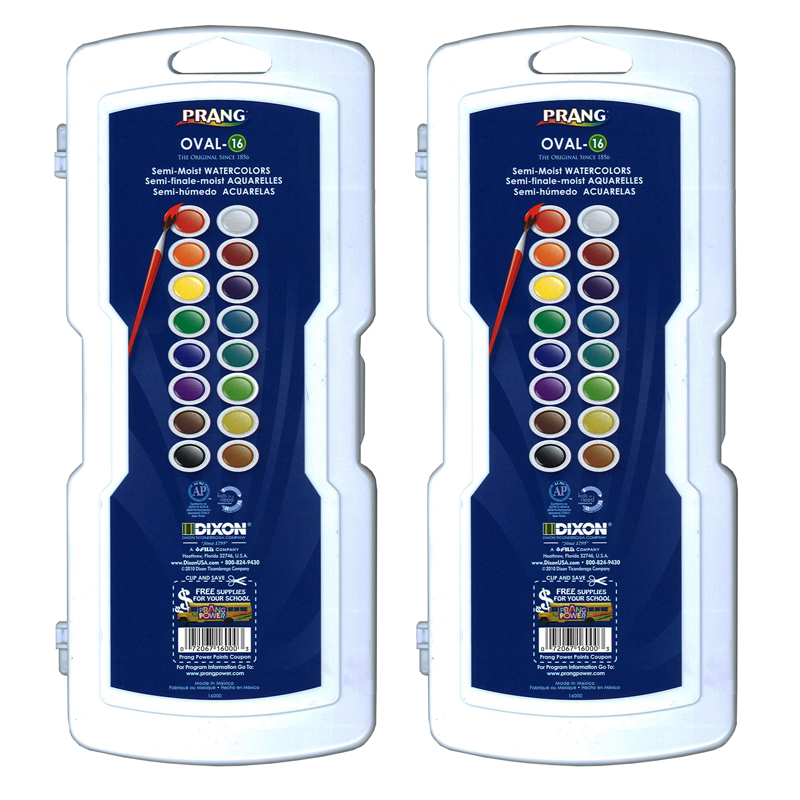 Paint is fruit scented and comes in an assortment of vibrant colors. Each pack includes 6 bottles. Bundle includes 2 packs for a total of 12 bottles. The (2 Pk) Crafty Dab Paint 6 Per Pkw/carrying Case can be found in our Paint product category within the Arts & Crafts.